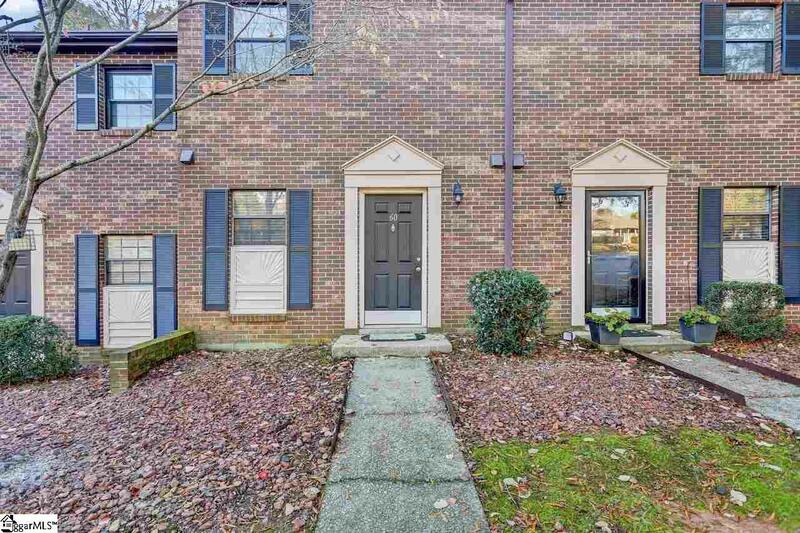 You must see this charming meticulously kept condo that has two bedrooms and one and a half baths. Walk in the front door to a charming kitchen on your left and a great entertaining space which could be used as a combination of living and dining. The privacy out the back stoop would be great to enjoy early mornings or late evenings. Upstairs you&apos;ll find two oversized bedrooms and a newly updated tiled shower/tub combo. Schedule a showing today for this convenient space located minutes off of Wade Hampton with easy access into Greenville, Greer, and Taylors. Enjoy relaxing by the pool, playing tennis, or the general low stress of having no yard work and beautiful grounds maintained for you. These are so rare at this price point, don&apos;t miss out on this one!